Wouldn’t it be wonderful if you could remove the imperfections from your home? If you could make sure that your house looked like a masterful design, a beautiful haven of style and decor. Well, you can. A few changes to your home design will ensure that those little imperfections that make your home look plain, dull or dated are gone for good. Let’s start by thinking about the outside of the property. After all, that’s the area that most people will see whether they are walking by or having a nosy at their neighbor’s design work. At least, it will be if you take our advice and replace your natural grass with the artificial variety. According to https://www.astrodeck.com.au/about-artificial-grass/, Astro turf doesn’t need to be weeded or cut. So, an extra benefit of this choice is that you can kiss the garden chores goodbye. The main advantage though is surely that there won’t be any marks where the grass has burned underneath the sun. Nor, will there be any overgrown clumps that you missed with the lawnmower. Your grass will stay green and lush all year around, no matter how many times your pet pooch does it’s business. The best part? Your neighbours might suspect that the grass is fake, but unless they have a feel, they’ll never know for sure. It looks just like the real deal. You can even tease them by leaving the lawnmower on the driveway to make it look like the grass has just been cut. Another possibility to ensure that your home looks absolutely stunning would be to purchase tropical plants for your front or back garden. Tropical plants will give your home a wonderful array of different colors, completely unique to your landscaping. All you need to do is make sure you pick plants that can grow in your climate. That could be easier said than done but you’ll be surprised by how many actually do. These plants will require a little extra maintenance, but it will be worth it to transform your front yard into a tropical paradise and ensure your neighbours really do go green with envy. Bigger and bolder isn’t always better. In the case of home design, less is very often more. If you want your home to look stunning and immaculate, you need to rid your property of the clutter. Stop letting the kids leave their toys scattered across the floor and stop your partner from buying yet another piece of furniture that you don’t need. It’s just taking up space, and the key to a beautiful picture perfect home is to leave as much free space as possible, creating the cool and clear minimalistic design. An extra tip would be to consider redesigning your home with laminate or hardwood floors. Laminate flooring is a great possibility as it is easy to maintain and looks modern. It’s also fairly cheap so you should definitely be able to fit it into your budget. You can learn more about laminate flooring on http://www.choicesflooring.com.au/laminate-flooring/. We hope you use these ideas to make sure your home looks absolutely stunning and totally picture perfect. Feeling a little bored of your bathroom? If the answer is yes and you aren’t at all keen on the style and design of your bathroom, it could be time switch things up with a decor update. There is a common misconception that remodeling any area of your home has to be stressful when actually that isn’t the case. The most stressful part of any decor project is determining the result that you want, if however you already know what you want to achieve, that’s half the battle. Think about what you want (and need) from your bathroom. Does the idea of the space being calm, tranquil, and effortlessly chic appeal to you? If the answer is yes, then a bathroom that focuses on vintage Venetian-style design could be the answer. 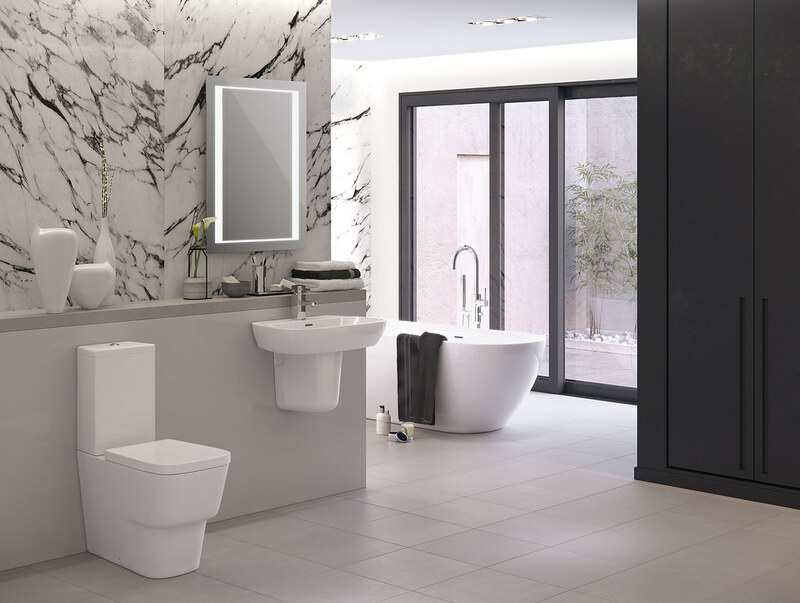 Anyone who has been to Italy and seen their gorgeous bathrooms will tell you that this design style has the potential to create the most incredible space. Love the concept of creating a bathroom that’s traditional, elegant, and wonderfully relaxing? Yes - then read on for all of the best tips for creating a luxe space that incorporates many of the design features used in vintage Venetian bathrooms. These types of vintage bathrooms are always wonderfully light and airy, which is a big part of their charm. To keep the space nice and light, opting to incorporate a light colour scheme that uses neutrals like white and grey, is ideal. Instead of painting the walls, opt to use Venetian plaster on them, to add to the rustic charm of the space. To bring more light into the room, consider placing a mirror on the opposite wall to the window. Remember, you are trying to recreate the luxe feel that vintage Venetian bathrooms have, and a big part of that is the space being wonderfully light and airy. Incorporating a couple of houseplants can help to make the space feel more open. Back in Venetian times, metal and marble were the domineering materials of the period, so if you want to create an authentic space, it pays to incorporate them into it. Stuck for how to do that? Using an interior design service like the one offered at worldofrenovation.com.au could be a good option, as it may help you to ensure that the space you create is as authentic as possible. One way to add metal to the space is to choose a vintage-style metal bathtub. For adding marble, think the floors and walls, as well as any counter surfaces within the room. If there is one thing that luxe bathrooms always are, it is minimalist. Aim to ensure that your Venetian-inspired bathroom has a minimalist look and feel to it by making storage space a priority and only adding features that are necessary to the space. A cluttered bathroom doesn’t have a luxurious feel to it, which is why minimalism is so vital. There you have it, a guide to designing a vintage Venetian style bathroom that has a wonderfully luxurious look and feel to it. he fact is that you have a smallish budget to work with, which you know means that you will be forced to buy a property that is somewhat smaller than you would like. However, if it means that you can say goodbye to renting and get a foot on the property ladder, you know that it is worth the sacrifice. You keep reminding yourself that a small house isn’t the be all and end all of life. However, just because your home is going to be smaller than you would like, does that mean you won’t love it? Of course, it doesn’t! There is nothing more exciting than getting a foot on the property ladder, regardless of the size of the property that you can afford to buy. It pays to be realistic about life in a small home. Yes, buying a smaller property will get you on the property ladder, so it is worth it. However, cramming your life from a larger rented property into a smaller one that you own, may not be as simple as you think it will be. The fact is, downsizing is an adjustment and one that it may take some time to get used to. The truth is that mess will be a serious problem, that is if you aren’t clued up when it comes to organizing yourself and your home. A small house means that you can’t fit as much into it as you would a larger house, and if you try to, the property will end up in a mess. You may not want to reduce your belongings down, but if you don’t, mess will be a serious problem. That is a fact. Talking about mess, the solution is extra storage space. The fact is if you are going to move to a smaller property and aren’t keen to part with any of your belongings, then you will need to get your hands on some additional storage space, like a storage unit, for instance. It may come at an extra monthly cost, but at least having a storage unit like the ones offered by canningvalestorageunits.com.au, means that you can keep hold of all of your treasured possessions, even if they are not in your home. It might be irritating having to store some of your possessions, but it’s a better option than having to get rid of them or live in a total mess. Ask anyone with a small house, and they will tell you that you will (in time) learn to utilize every inch of space. When your home is on the small side, you have no choice but to use every bit of space that you have. That can mean converting your attic or basement for additional storage or living space. It could also mean having floor to ceiling storage installed in certain areas of your home. The fact is that small homes lack space, especially when it comes to storage, which is why utilizing every inch that is available is so vital. There is no doubt about it, if you are not already a minimalist, you will become one. You will learn to buy only what you need and not hoard. To learn more about becoming a minimalist, resources like bemorewithless.com/begin/ can be useful. This is a skill that will stay with you for life and will ensure that every home that you have is minimalistic and free from clutter. That is a bonus of living in a small home, if there ever was one. There you have it, the truth about moving to a small(ish) home and what it will mean for you and your family. You have found your dream house. It’s the house you have always imagined yourself living in, and nothing is going to hold you back from making it your home. At some point in the viewing process, you notice a aircraft flying overhead. “Is this located on a flight path?” you ask the realtor, who admits it is, then swiftly changes the subject. You bring up the fact you’d be living beneath air traffic when discussing the home with others. However, no aircraft is going to dissuade you from getting your hands on the keys to the home you have always imagined. It’ll be fine! It’s just planes, and they fly pretty high up, so it’s barely going to bother you! Oh, how little you knew. There are a few things you can do to your home to keep the aircraft sound where it belongs - outside. You might want to consider installing aluminium windows to help block the incessant hum of the engines, while double glazing is less of a luxury and more of a necessity. In the garden, it’s helpful if you look to cultivate large, dense tree growth. This can help muffle the sound, and who knows, might even convince your dog that the aircraft are absolutely not a threat. No promises on that one though. Dogs will be dogs. If you have a pet dog, then life beneath a flight path is going to involve a lot more barking than you ever thought possible. The plane, you see, is a threat. It might be 20,000 feet in the air, but it’s still a threat. That means your dog is going to bark at it. A lot. And there’s pretty much nothing you can do about it, either. Here’s the thing; you’re going to get used to the noise. Really. It might not seem like that in the initial weeks after moving in; you’ll be disturbed all day long, suddenly convinced that your dream house is actually anything but. However, as time passes, you will absolutely get used to the noise. Your brain will start to filter the sound from “oh my god, listen to this!” and just add it to the normal background noise it tends to filter out. It will happen - you just need to give it time! Life beneath a flight path isn’t easy to begin with, but stick with it and those irritating aircraft will soon just be part and parcel of the experience of your dream home. Kitchens are a staple of the home model world: they’re colourful, cosy, modernistic, or you still have your grandmother’s old aga in pride of place. These are all fine options, but are they for you? Is it time to change up the cooking world around you? We all want a kitchen that suits our needs, but keeping it both practical and creative can be a hard balance to achieve. Below are a few ideas on ways for keeping a kitchen designed for its original use, as well as making you feel better about using it. First of all, you’ll need to know what it is about your kitchen that you like the most and what the common ways in which you use it are. This can be done via the ‘work triangle,’ highlighting the three main ports of any kitchen: the stove, fridge, and sink. Once these steps have been planned out, we can move on to the fun stuff! If you want to open up space in your kitchen, it’s an easier piece of work than you might have thought. It’s a well-quoted but often a misunderstood idea that home remodeling can be a good option for increasing your living space. It can remove unnecessary obstacles in your quest to open up a floor plan and can help you reevaluate what parts of a home can be moved and redesigned better to suit you. Having a ‘U-shaped’ layout is a fantastic way to both maximise and use up space in a larger home, with plenty of storage options due to the amount of cupboards you can fit in both the sides and the middle island. It also allows you to move faster around your kitchen with a set layout and thus you can avoid others enroute. Many kitchen layouts come in the form of letters. An ‘L-shaped’ kitchen allows you to utilise a tricky corner turn in a room, with plenty of added cabinets in that space for more storage and thus more use out of your kitchen. With this kind of design, any miscellaneous wall space is taken up, and on the other side you can sneak in a nice seating arrangement. With these space elements, it’ll become a great place to host a dinner or be the main hubbub centre in a party. Depending on your definition of unusual, these ideas can either be big or small. One way to make a kitchen just a little more unusual is to include some wacky colours on the cabinets, like a ‘fire engine’ red or lime green. It’s also a good way to include elements of both the old and new in your kitchen if your cooker is outdated or if you still do have grandmother’s aga. There are so many ways to recreate a kitchen, so hopefully some of the ideas above gave you a good place to start! One problem with dream homes is that more people are looking for those types of homes than there are houses. As soon as a hot property goes onto the market, you’ll have to fight off the interest of all the other parties who want the home or get involved in a messy bidding battle. However, it’s important to remember the traditional route of buying a new house - looking at listings and seeing what’s available - is only one of the options you have. Below, we take a look at four creative ways to get the house of your dreams, none of which involve trying to gazump another bidding couple. If you’ve found the neighbourhood you want to live in, common procedure dictates that you’ll drive around the area and make a note of all the homes that have a ‘for sale’ sign standing up outside. This tactic will get you a home, but your dream home? It’s unlikely. Instead, why not drive around and make a note of the homes you would like. After that, you create a letter outlining your interest in buying the home, pop it in their letter box, and then play the waiting game. It’ll likely be a ‘no’, but this approach has worked for others in the past, and as it’s low-risk and takes next to effort, it might be one of the decisions you’ve made. You can learn a lot just by opening your mouth and having a conversation with people. If you’ve talking with a friend (or stranger, depending on how social you are), casually drop it that you’re looking to buy a home, with a few essential requirements thrown in there too (let’s say, three bedrooms, large garden, between street x and street y). They might know someone who’s selling a property just like the one you’re after, and you’ll have a headstart on the competition to get the keys. The off- and on-real estate market can’t always work with you; sometimes, your dream house just won’t be for sale. But what if instead of waiting for the perfect property to materialise, you take your dream into your own hands and build it yourself? There are custom home builders who can bring your vision to life, giving you everything you want in a house down to the last detail. You’ll have control over the whole process, and you won’t have to deal with any of the standard house buying problems that the rest of the herd have to contend with. You can buy a lot at a garage sale. Old golf clubs, a baby’s crib, a...house?! It’s true. Often, people have a garage sale to declutter their home before they put it in on the market. If you’re driving around and happen to see a garage sale, it’s worth stopping in to get a feel for the place. If you like what you say, make some subtle enquiries - it might just pay off. There are more ways than one to get your dream house, so start thinking outside of the box! Stop Focusing on Targeted Renovations and Start Looking at the Bigger Picture! When was the last time hired a contractor to perform a renovation or suited-up and got your hands dirty to fix up your home? Chances are, you probably focused on a specific room or part of your home. For example, many people like to renovate their bedrooms to give themselves a more comfortable place to sleep. They enjoy their new decor and the comfort they experience in their new sheets, but what about the rest of the home? When you renovate a room or make drastic changes to your home, it’s important to remember the bigger picture. Your entire home needs to be changed to accommodate certain things, which is why it’s important to try and steer away from targeted renovations. To illustrate the point better, here are a couple of examples of what you should and shouldn’t do when you next renovate your home. When you spend a lot of effort designing a room, you probably put a lot of money into changing the decor from the ground up. For example, it’s not uncommon to change wallpaper or paint the room a different colour, and you may even swap the floors out for something more modern. However, if you have mismatching decor that contrasts too heavily with the rest of your home, then it’ll give your home a strange imbalanced feel. To combat this, make sure you do larger renovations first. For instance, if you plan to change the floors in your home, then do it all at once instead of working on one room at a time. Some common examples include swapping carpets for laminate or wood flooring (or vice versa). If you have a few rooms that look more modern and stylish than other rooms, then it creates a strange feeling throughout your home that is strange to live in. This might be fine if you’re living alone, but if you have family or guests over then it might feel like there’s some room favouritism and no one enjoys being in a room that hasn’t seen much care at all. Renovations typically take place on the inside of your home because it’s where you spend most of your time. However, that’s not to say that you can just completely neglect the outside of your home. Make sure you take the time to maintain your roof, mow the lawn and take care of your yard if you want the best for your entire home. As the title of the article implies, you need to start looking at the bigger picture and renovate your house, not rooms. Some good examples include slate roofing to give your house a modern updated look, and fixing up any kind of fences you have by repairing or replacing them can add a nice border around your property. In short, just remember to keep your entire home renovated. Don’t focus too much on single rooms or areas—focus on the bigger picture if you want to make your house as beautiful as it can be. These are some of the most vital considerations that will prevent your move being a total fail. First up, you need to think about the location in which you want to buy your home. The location is extremely important in the decision-making process. In fact, it might be the most important decision you have to make. There are many factors to think about when it comes to location. You want to think about how safe the area is. What’s the crime rate like? Is there a good police service and neighborhood watch scheme? If you have a family, you need to think about what the schooling in the area is like. Research the location thoroughly before making a commitment to buy. Something that might sway your decision when it comes to buying a home is the cost. Yes, more advice from Captain Obvious. But while many people are cognizant of costs, they still don’t prepare properly for them. You need to set yourself a budget before you start thinking about buying. You’ll probably end up having to consider a loan; in that case, you need to make sure you get the mortgage pre-approved before you look. Seriously, don’t ignore that advice. A lot of people do, and it’s basically like going shopping for one-of-a-kind rarities with no money on your person: you’ll find something you love, but it’ll be gone by the time you get back to the store with the cash. There’s a lot to consider when it comes to the actual move itself, such as the moving company you’re going to work with or the items you’re actually going to bring with you. But a lot of people forget about a lot of really important factors. Outside of physical objects, you also need to think about your utilities such as electricity and WiFi. You can click here to find out more about the transfer of these things from one house to another. Many people overlook this aspect and end up regretting the result. Think hard about the type of home you want to buy. Do you want a house or a flat? Are you looking at a bungalow or a condo? The type of home you want to buy will most likely depend on your personal circumstances. If you have a large family, you’re going to want to buy a home that can accommodate the kids. Children take up a lot of space, so you need to have a large home to accommodate that. If you’re a single person or a young couple, you might feel that a house is too large. In this scenario, you might decide you’d like to get an apartment instead. There’s nothing quite like being outside and enjoying the fresh air and nature (providing the weather is on point). Therefore, it only makes sense to create an outdoor haven to utilise and enjoy by making your garden into one of your favourite “rooms” of your home. The more time you spend in your backyard, the more vitamin d you’ll be getting, and you’ll come back inside in a great mood and with a smile on your face. The following are some ideas to help you to get the best out of your garden and inspire you to spend more time there. Grab some throws and cushions and pop them on your outdoor seating and create a comfortable area to go out and read a book or listen to the radio in the sunshine. You could use a coffee table and put some candles on it, surround a patio area with fairy lights, and enjoy a glass of red during the evenings; it’ll be your new living room before you know it. Don’t forget that you’re outdoors; you can invest in some low maintenance pot plants and window boxes so that you can infuse some flora and fauna into your new chillout zone. Pave or deck the area outside your back door so that your home leads into the garden seamlessly; look here to find out more about what can be done to create an outdoor area you’ll want to hang out in after work. Make sure that all your senses are satisfied with the aesthetics of the space, the scent of your flowers and fruit, and the sound of birds who’ll be flocking towards your spruced-up backyard space. Fire pits and beanbags are a great addition to any patio area, and it’ll be a situation that you can’t enjoy inside the house, so you’ll be encouraged to get off the sofa and gather everyone around the fire to catch-up. If there’s one thing Aussies are known for; it’s our ability to have a quality BBQ on regular occasions. Aside from throwing the barbecue on the lawn now and again every time you fancy a hotdog; invest in a decent grill for the patio area you’ve recently renovated. Look into roofed patio areas too; this will ensure that you’ll be able to griddle up a storm even when the rain falls. Take your al fresco dining seriously and invest in a big garden table and chairs; if the family have somewhere decent to sit and eat, they’ll want to do it more often. You can get your plants in on the dinner action too; grow some fruit, salad leaves, and veg in containers on your decking, or in the lawn, so you can grab the freshest produce when it comes to cooking Sunday lunch, outside. Set the table, invite the friends and family over (tell them it’s BYOB), and get stuck into regular meals in your garden space; it’s the ideal space for an afternoon nap after a big lunch and you’ll only have to travel from the patio to the lawn.